Investing in mobile home parks could be your most profitable investment outlet in today’s market. In a suffering economy, finding a lucrative investment is essential. While real estate is generally thought to be a solid investment, there are not a lot of homes being purchased. In the current state of our economy, more people are interested in renting a home than buying one. In this article, we will not only discuss the benefits of a mobile home park investment; we will also take a look at some of the best practices for generating sufficient revenue from one or more mobile home parks. Let’s face it: When people think of mobile homes they conjure up the most stereotypical images of run-down trailer parks with a substandard way of life. While there are definitely certain mobile home parks which uphold this stereotype, there are many more which offer a peaceful and aesthetically pleasing lifestyle. What people fail to consider about mobile home parks is that the owner of each park is raking in thousands of dollars a month on lot rent alone. Whether you have the capital to invest yourself or you need to acquire a mortgage to purchase land or an already operational mobile home park, your net income will sufficiently reimburse you and/or cover the mortgage with profit left over. 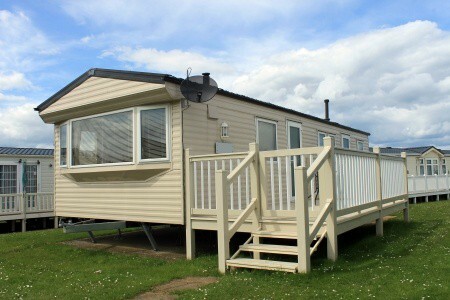 The more lots that are available to accommodate mobile homes, the higher your monthly revenue becomes. If you are renting out lots and collecting rent on mobile homes, your monthly gross income could easily be in the tens of thousands of dollars. Even if you’re only renting out lots to those who own their own trailers, you could still make that much money in a month, depending on how many lots your land contains. With income in these numbers, you will be able to pay a significant amount towards the principal of your mortgage loan to save beaucoup bucks in interest while shaving years off the life of your loan. While investing in mobile home parks can be quite lucrative, actually getting into the market can prove to be quite challenging. You may be lucky enough to find a mobile home park that is up for sale; but generally speaking, you have a ton of homework and research to conduct in order to find a good opportunity. Basically, you have 2 options: Purchase an already operational mobile home park or purchase land and however many trailers you can afford to put on the land. If you choose to create a mobile home park out of nothing, make sure you have the capital to support such a project. Not only will you need sufficient capital, you must adhere to all local zoning laws. Remember that you will need to add plumbing and electricity to the land itself before it can be hooked up to mobile homes. Before you decide to build your own mobile home park, make sure to perform all due diligence not only to find out through which proverbial hoops you’ll have to jump, but also to make sure you have the budget to see the entire project through. To get your new mobile homes selling or renting as quickly as possible, offer move in specials for renters and owner financing for the trailers themselves. If you are interested in finding a park which is already operational, you may have your best luck in seeking out privately owned mobile home parks, often referred to as “Ma and Pa Lots.” These types of trailer parks account for roughly 35% of all mobile home parks in the US, and many of them are not as profitable as they could be. It’s possible that owners of these types of parks could be bought out for the right price. Once you’ve done all your homework and have found the best mobile home park investment opportunity, here are a few ways to make sure your investment stays profitable. Every year, the cost of living increases. There are many factors at play when it comes time to determine the cost of lot rent. While you want to offer fair and affordable prices, you also need to reap a sufficient enough profit to justify your investment. Re-assess your P&L documentation at least quarterly to ensure your prices are amply covering costs and you are reaching your target profit margin. The best way to keep yourself protected from limitation on rent is to only engage in short term leases or rent only on a month to month basis. It’s difficult to anticipate every cost which may arise – especially if you are a landlord of rented mobile homes on your land. Your budget could change in an instant, and you should have the flexibility of increasing rent with proper notice. If you plan on covering the expenses of some or all utilities, take your overall cost and divide it by the number of lots you’re actively renting on a monthly basis – especially if you have multiple changes in residency. Review this information regularly to ensure that the costs of the utilities you offer are not cutting too deeply into your net profit. Property values seem to be on a steady decline, and there’s no telling when the market will bounce back or what challenges lie ahead. Buying a home used to be considered a great investment, but all too many buyers are re-thinking that ideal in the current state of our economy. There are always risks when it comes to investing, but the current trend of renters vs. buyers is growing. Whether you intend to turn an empty lot or acreage farm into a mobile home park or you’re interested in taking control of one that is already in business and renting to tenants, an investment in a mobile home park is one of your safest options.